Michael Vincent has made an awesome website for those who want to kick it oldschool. Whether you're old enough to remember using it, or too young to know what it is, Windows 3.1 was, undeniably, the turning point for Microsoft's Windows OS. 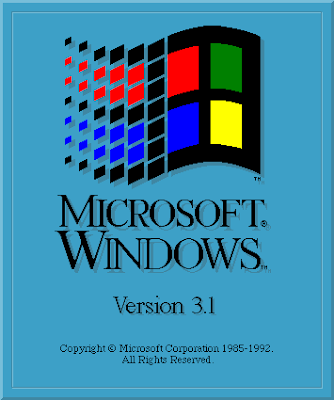 While it didn't offer much in terms of new functionality over its predecessor, Windows 3.0, Windows 3.1 was the first widely used version of Microsoft's world dominating OS. Michael's website is a way to look back into the days of Windows 3.1 without having to install a thing. It's a site that emulates the operating system, allowing you to explore it as if you had it installed on your own computer. However, there are a notable differences. The browser isn't really the same as it was back then, you don't actually get to experience the boot up process, and Windows 3.1 didn't come with links to all of Michael's websites. Still, it's a great little emulator. Go ahead; try out Microsoft's never-too-old-to-forget, right-click-lacking version of Windows. Oh, and to make it even better. Minesweeper works (see the proof below). Just don't try the simultaneous right and left click trick. That'll throw you out of the emulator. Resolution of 1024x768 or greater recommended." 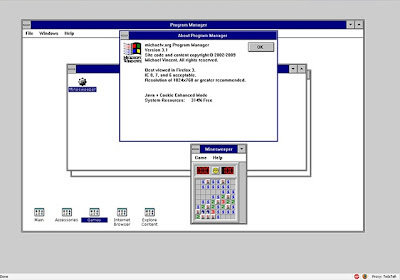 You can check out Michael's Windows 3.1 emulator at michaelv.org.